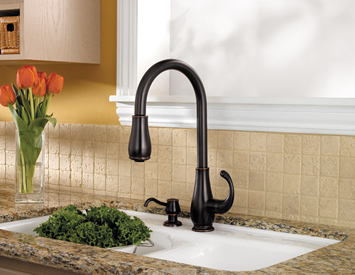 Time-honored qualities such as elegance, tradition and symmetry have been gracefully reflected in the Treviso™ kitchen faucet. 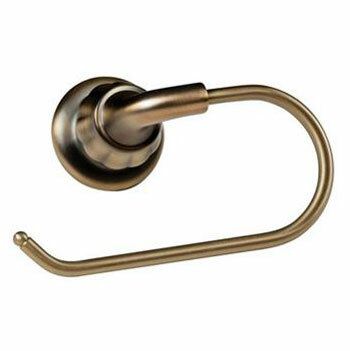 This collection takes cues from classic Italian design with intricately detailed metal lever handles and elegant arching spout. 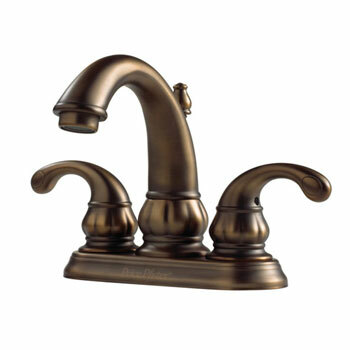 Time-honored qualities such as elegance, tradition and symmetry have been gracefully reflected in the Treviso kitchen faucet. This two-handled faucet mirrors the collection's classic Italian design, intricately detailed metal lever handles and elegant arching spout. 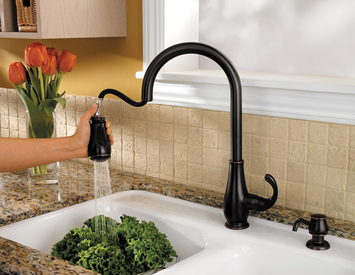 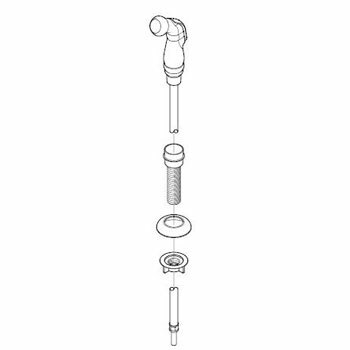 2 or 4-hole kitchen pull-down faucet with matching soap dispenser. 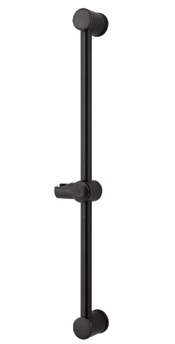 Can be mounted with deckplate for 4-hole configurations and without deckplate for 2-hole configurations. 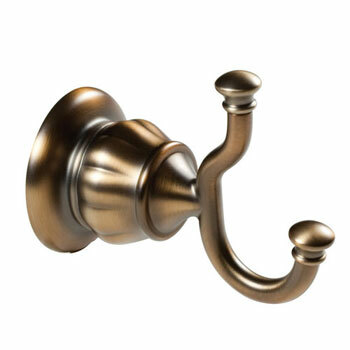 Includes adjustable spray volume control. 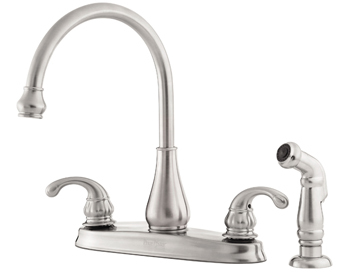 Time-honored qualities such as elegance, tradition and symmetry have been gracefully reflected in the Treviso kitchen faucet. 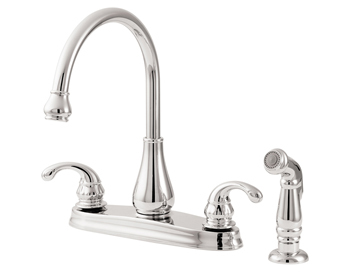 This two-handled faucet mirrors the collection's classic Italian design, intricately detailed metal lever handles and elegant arching spout. 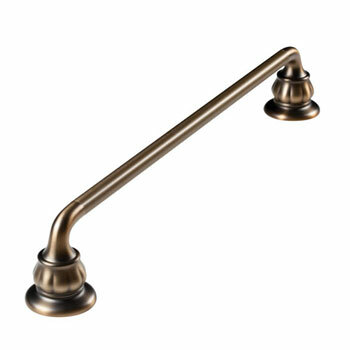 4" Centerset lavatory faucet with hubs, handles, and metal pop-up included A unique, fresh design with Italian influences, the sculpted detail of the Treviso collection's ornate lever handles and matching spout coordinate the bath, from lavatory faucet to Roman tub. 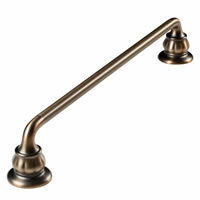 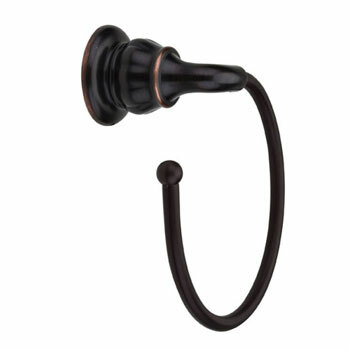 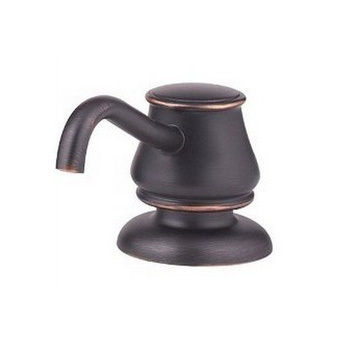 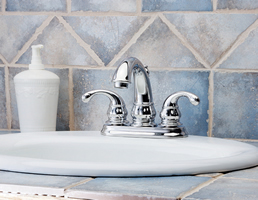 The traditional styled spout is longer and taller than most, for practicality with a classic European look. 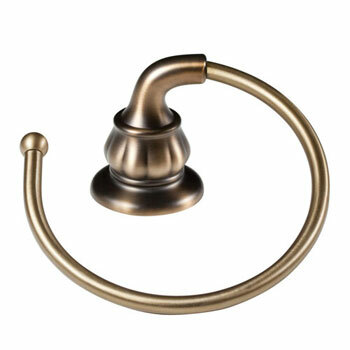 The Treviso collection features a complete collection of bathroom accessories including: 18" & 24" towel bars, robe hook, toilet paper holder and towel ring.